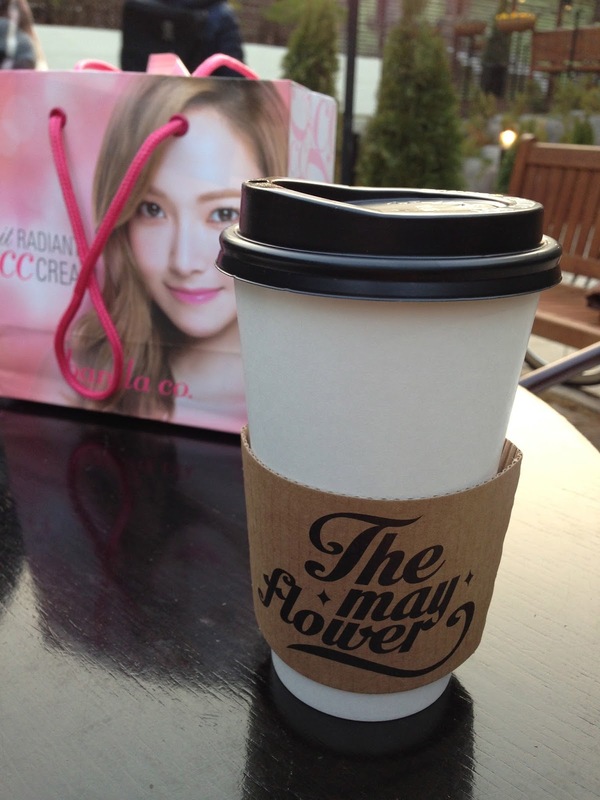 Most of Seoul's cafes are crowded and noisy, but in the midst of all that chaos, I was surprised and relieved to find my oasis at the May Flower. This spacious café featured an enormous outdoor seating area, that could have easily been a restaurant or nightclub. I remember searching for it on Google Maps or looking for their website somewhere, and found nothing. I'm not sure if this place is still around, or if they have an internet presence, but I enjoyed my time here so much. As soon as we entered, I felt like I could stay there forever. We probably spent two hours at this place, the lost we spent anywhere in Seoul exact our hostel, where we only slept a mere 6 hours anyway. Some of the photos were taken from the patio cafe, and some where taken from the second floor balcony, where we climbed up to watch the sunset. Such a peaceful place in the heart of the city.